Messhof Games have announced that Nidhogg 2 will release on Nintendo Switch on November 22. 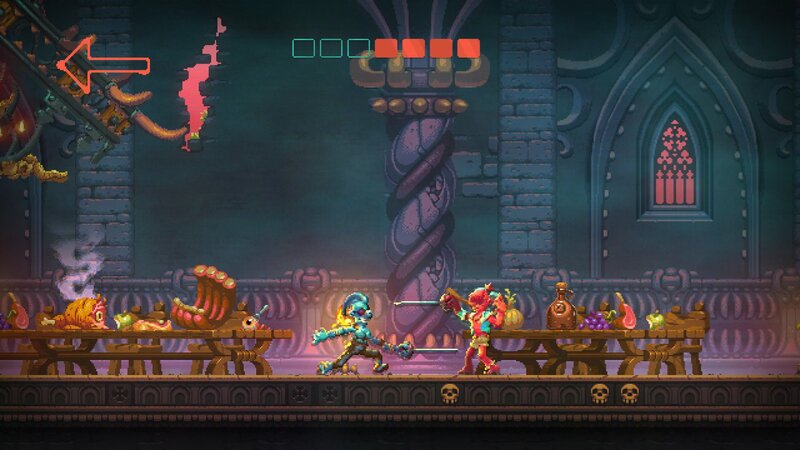 Expanding upon the gameplay of its predecessor, Nidhogg 2 offers up new weapons, new levels, new ways to customize your slaughter, fashion-forward character customization, an art style courtesy of Toby Dixon, and sounds by acclaimed electronic artists Mux Mool, Geotic, Doseone, Osborne, and Daedelus. Nidhogg 2 was previously released on PC (Win/Mac), PS4 and Xbox One. There is currently 1 member and 121 guests on the website right now. "Bigger and bolder, but not necessarily better"
Nidhogg 2 (PlayStation 4) is ranked #1027 out of 1434 total reviewed games. It is ranked #110 out of 174 games reviewed in 2017.